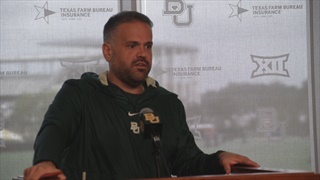 Rhule gives his thoughts on how Saturday’s Spring Game went. 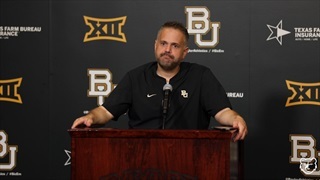 Baylor will be facing Vanderbilt in the Texas Bowl December 27th at 8 p.m.
Coach Matt Rhule spoke at his usual Monday press conference. 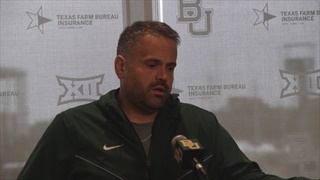 Rhule speaks with the media after Baylor's 16-9 loss to TCU Saturday afternoon. 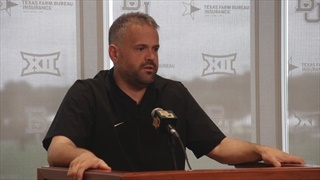 Coach Rhule spoke to the media on Monday following the teams loss at Iowa State. 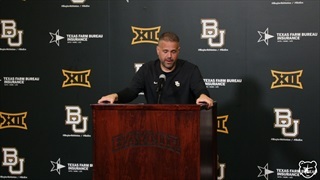 Coach Rhule speaks at his usual Monday press conference. 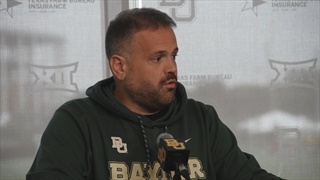 Matt Rhule talks with the media following the come-from-behind 35-31 win Saturday over OSU. 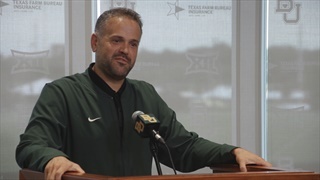 Coach Rhule spoke to the media at his press conference on Monday. 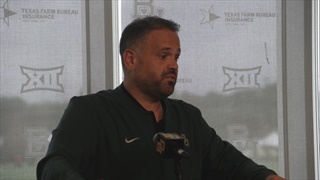 Coach Rhule spoke about the bye week and how the team is preparing for West Virginia. 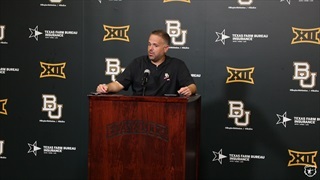 Coach Rhule talks at his weekly press conference on Monday. 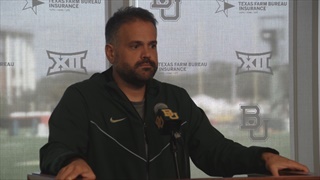 Follow along for updates from Baylor head coach Matt Rhule's press conference with a match up against Texas in store for this weekend. 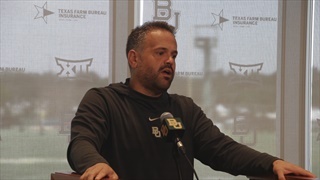 Coach Matt Rhule shares his thoughts on Baylor's 37-34 win over Kansas State Saturday afternoon. 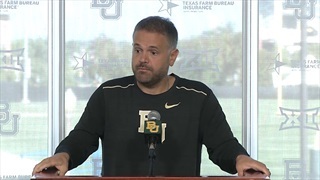 Coach Matt Rhule's weekly press conference on Monday. 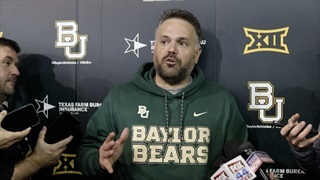 Follow along for updates from Matt Rhule's weekly press conference. 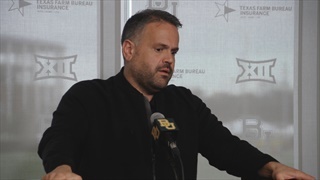 Coach Rhule spoke to the media at his normal press conference on Monday. 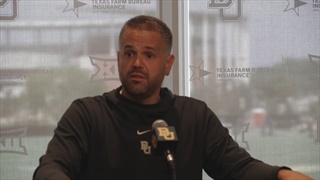 Baylor defeated Kansas 26-7 Saturday afternoon, and coach Matt Rhule talked about the win following the game. 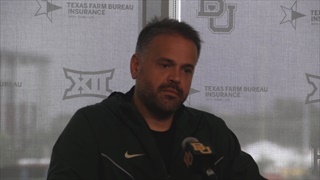 Coach Matt Rhule spoke at his press conference about the loss to Duke and the upcoming battle against Kansas this week. 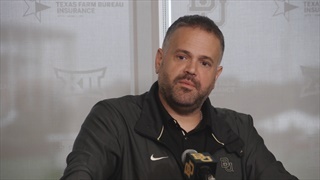 Coach Matt Rhule spoke to the media before the start of practice this week. As the team gets ready for Duke on Saturday afternoon. 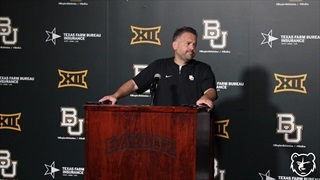 Head coach Matt Rhule visits with the media following Baylor's victory over Abilene Christian and ahead of their road trip to face UTSA in San Antonio. 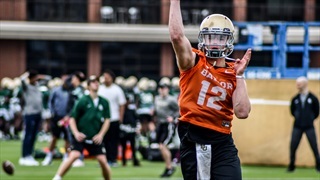 A look back at several storylines from Matt Rhule's first press conference of the 2018 football season including his thoughts on the quarterback situation and providing the latest on the injury front.